There’s more to the Middle East than Burj Khalifa, Sheikh Mohammed Grand Mosque and the Hajar mountains. Behind the glitz and glamour, a world awaits undiscovered, be it camel-chino, abandoned villages, ancient forts or deserted beaches. Read on to discover six of our favourite Middle East secrets you can visit on your next Arabian holiday, all firmly off the beaten track. 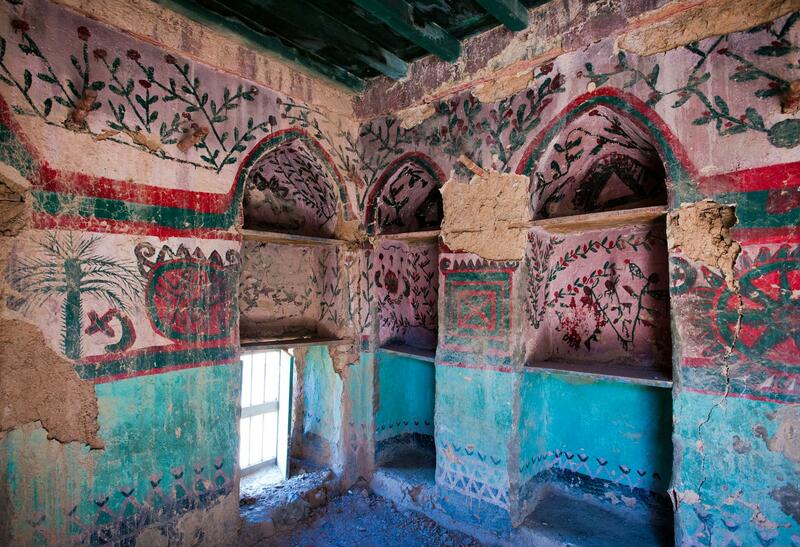 Hauntingly beautiful: this abandoned village is a gorgeous place to explore. Walk the streets of an abandoned village, discover unused paths and admire giant walnut trees thought to be the largest in Oman: Wadi Habib is enticing for the curious, mystical for the fascinated, and beautiful to the leisure seeker – this is one of the Middle East Secrets that nobody should miss. The village appears largely intact, and features orchards, a mosque and more – but nobody is home. Certain buildings display intricate patterns and designs that only emphasize the ethereal atmosphere. Once you’ve finished exploring the village, you can trek through the jungle beneath lush trees until you reach rewarding vistas at Bani Habib Viewpoint. It’s worth noting that you should avoid this one if it’s raining. This wadi is known to flood hard and often. Luckily, Oman holidays are mostly sun-kissed occasions, so rain is unusual. 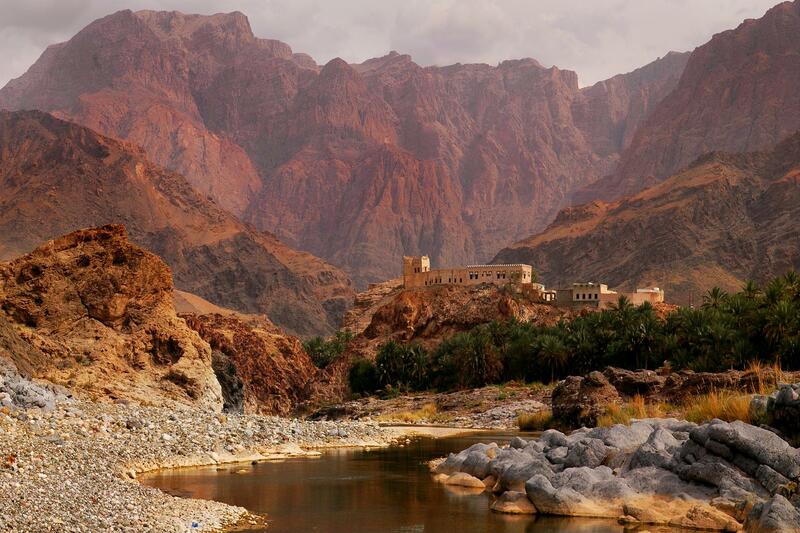 Located just over two hours from Shangri La Oman, Wadi Bani Habib is an ideal day trip. We recommend you bring your lunch with you for this one, because Wadi Bani Habib is sprinkled with perfect picnic spots. A camping experience like no other. Bendouin Oasis pampers its guests in a unique and memorable fashion. Escape to the mystical world of Arabia in Ras al Khaimah. It’s only an hour’s drive from Dubai (or thirty minutes from Waldorf Astoria Ras Al Khaimah and thirty five from Rixos Bab Al Bahr) and features Bedouin designs, a barbeque, authentic underground ovens and a camp fire. 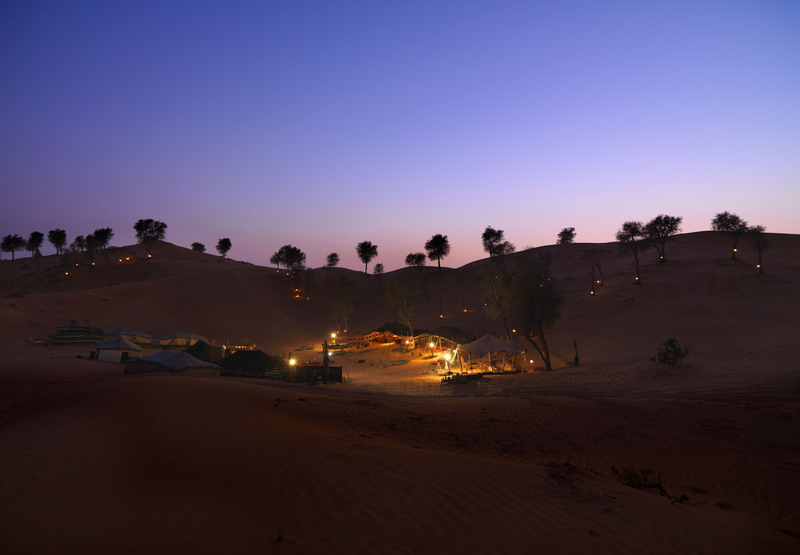 Savour the saj bread, tuck into a platter of local cuisines, then enjoy a range of desert camp activities from belly dancing to henna tattoos. This is a superb ‘glamping’ opportunity, where you can kick back in a luxury pitched tent, then wake up to a light buffet breakfast, fresh and ready for camel trekking, sand boarding and more. With real goat-hair tents, plush cushions for seating, and luxurious amenities that ensure your comfort, this is one of Arabia’s must-do experiences on your Middle East holiday. Better yet, this is one of the Middle East secrets yet to be discovered by the majority of tourists. 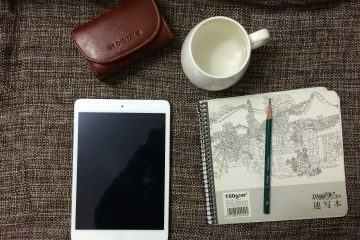 Oasis is the word. This lush greenery contrasts beautifully with Abu Dhabi’s sprawling deserts. The first curated UNESCO World Heritage site in the UAE may not seem like a secret, and it’s not. This lush paradise is attracting visitors in ever-growing numbers. But due to its location on the border of Oman, big sights like Abu Dhabi’s Grand Mosque overshadow it. We, however, think every Abu Dhabi trip merits visiting it, because Al Ain Oasis is a paradise. Picture driving through miles of desert to reach this lush retreat, palm trees and shrubbery bursting forth. This 1200 hectare escape comprises of more than 147,000 date palms, shady walkways, rare birds, and more. A particularly interesting feature of Al Ain Oasis is working examples of the falaj which have been used for centuries to tap into underground wells. Staying at the Ritz Carlton Abu Dhabi, Al Raha Beach Hotel, or Emirates Palace Abu Dhabi gives you the best of the city within an hour’s drive from the oasis. This beautiful and ancient mosque is a must-see sight for culture vultures. Al Badiyah Mosque, or Ottoman Mosque, is a modest looking structure with a massive history behind it. 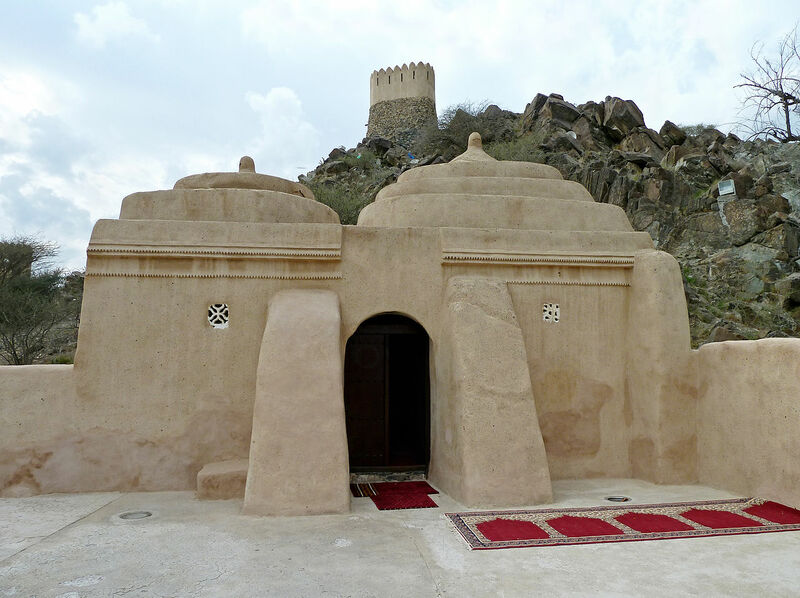 Thought to be six hundred years old, Fujairah’s oldest mosque offers a glimpse back in time. Subject of an archaeological investigation in the late ‘90s, Al Badiyah mosque continues to hold daily prayers. Despite its diminutive size, it’s worth a visit for its beauty as well as the surrounding landscapes. 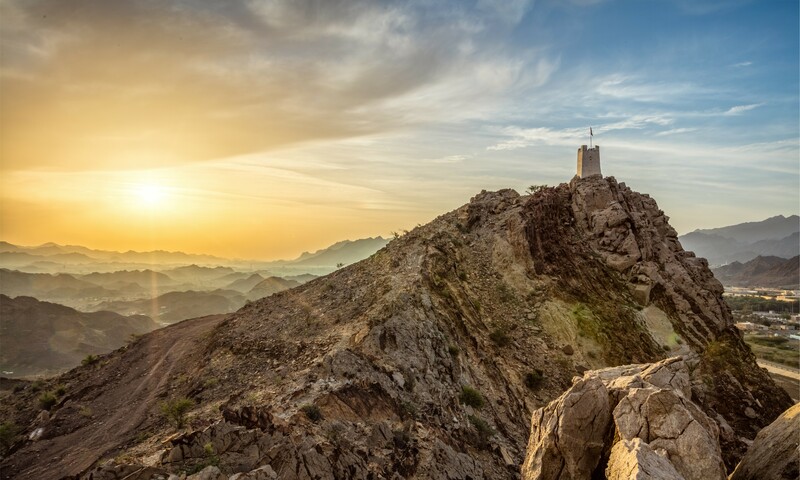 Al Badiyah Old Fort perches upon a hillside close to the mosque, and serves as a super photographic opportunity with dramatic mountains to the west and the Gulf of Oman to the east. Better yet, it’s only a ten minute drive from Fujairah Rotana Resort & Spa, and Le Meridien Al Aqah Beach Resort. From desert to mug: Dubai’s camel milk is surprisingly delicious. When visiting the stunning Jumeirah Mosque in Dubai, a little-known but delicious secret of Middle East is The Majlis Café. You’ll find it round the corner beneath old ghaf trees. It describes itself as having the ‘first and finest camel milk cafe in Dubai.’ And it might be right. This is a true Arabian-tasting experience, as camel milk is the main ingredient of almost everything on the menu. Think milkshakes, coffee, lattes, ice cream, cheese, cream and more (often under appropriately puned names. Camelchino for example.) After grabbing a camel milk delight, find a spot in the shade and watch the world go by as he sound of prayers from Jumeirah Mosque serenade you. 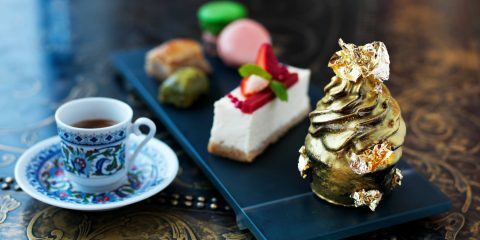 The Majlis Café is one of the tastiest Middle East secrets. Jumeirah Mosque and, by extension, a world of tasty camel milk, is within thirty minutes of a number of Dubai’s swanky resorts, from Jumeirah Zabeel Saray to Habtoor Grand Beach Resort & Spa. Masfout Castle gives visitors the best of Ajman’s culture and scenery. The tiny town of Masfout is often missed on the tourist map of Ajman emirate. Because of this, it’s one of the best kept Middle East secrets. This mountainous enclave surrounds discerning visitors with dramatic scenery. Outdoor enthusiasts, this is one for you. 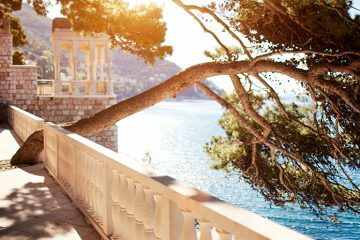 Once there, stroll the the colourful marvel streets, picturesque houses and local shops. Then we recommend setting out to discover super sights such as Masfout Castle, Masfout Gate, alongside exciting hikes and outdoor scenery. And with the surrounding mountains offering visitors vistas across the emirate, this truly the best way to see the scenery. The 90 minute drive from Ajman city takes you down a road of rolling sand dunes and rugged mountain backdrops. It’s well worth the journey. Even better: Masfout’s elevation offers visitors a cooler climate, which is a welcome feeling amid the blistering summer heat. Staying at Al Maha Desert Resort & Spa on your Middle East holiday means you’re within a two hour drive of this mountainous Middle East secret.